Tonight I was delighted to discover that both seasons of Twin Peaks can now be viewed for free at CBS.com (unfortunately, the pilot is nowhere to be seen). Even if you aren’t a David Lynch fan, you owe it to yourself to check out Twin Peaks. It truly is a masterwork, and it’s something of a miracle that it ran for two whole seasons before being taken off the air. Embedded below: Twin Peaks season 1 episode 2, in which Agent Cooper demonstrates an unusual deductive technique for the Twin Peaks Sheriff’s Department. 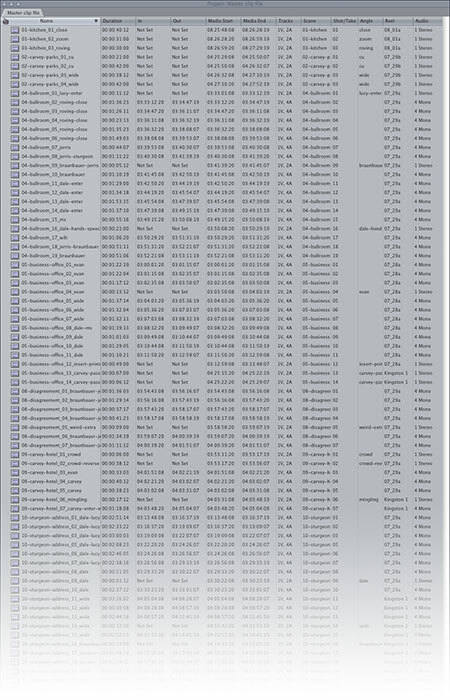 That’s 1,100 takes, or 26 hours of footage, or 1.2 terabytes, depending on how you slice it. Eventually to be boiled down to under 120 minutes. Oof. I would be remiss if I didn’t mention the death of actor Henry Gibson this week at the age of 73. Gibson had a long and storied acting career, starting with a bit part in the original Nutty Professor (1963). Perhaps his two most well-known performances were of country music superstar Haven Hamilton in Nashville, and of course as the leader of the Illinois Nazis in The Blues Brothers. This is an outtake. Enjoy. 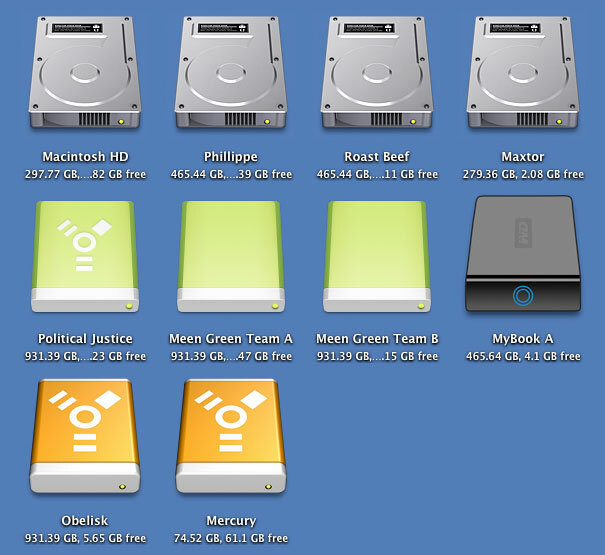 For those keeping score, that’s 10 hard drives, totaling up to just over 6 terabytes of storage. I can’t keep this up for much longer. I’m just barely hanging on. Send help now. When can I get my high-capacity holographic storage device? Well, for the second time in my 10 years of internetting, we’ve been hacked. Probably my fault for sitting on a WordPress security update for a week and a half before upgrading. The good news is that you only noticed an intrusion if you were subscribed to the RSS feed through Google Reader. The even better news is that the spam that was showing up should now be gone (if it isn’t, try unsubscribing and resubscribing). If you experience any more weird spam-related issues, please leave a comment or drop me a line. It’s tough to get something to fall into frame—especially when it bounces. Word to the wicked: “MOS” is a common film-related terminology. Means the shot was recorded without sound. The story is that there was a German director who instructed his crew that the next shot would be “mit out sound,” but the truth is much less exciting: MOS actually stands for minus optical sound. On a related note, R2-D2 from Star Wars was named after a sound editing abbreviation: Reel 2, Dialogue 2. The teaser! The title! The awkward silence! For more viewing options (including 1080p, for the videophiles! ), check out discouragingwords.com. About a week into production I made the laughable claim that we would have a teaser by the end of week 2. Obviously, that didn’t happen—although in my defense, it wasn’t for lack of material. We could have cut a teaser from only the footage we got in the first week, but by ‘we’ I mean ‘somebody who isn’t me,’ and… well… that person didn’t exist. But the past is behind us, that that is a pretty awesome teaser, if I do say so myself.